Our Versalite is a curved LED light box featuring dual fluorescent tubing. Comes complete with a self adhesive panel, laminate your fabric, pictures, posters, photos or wallpaper and insert into the system.The panels are interchangeable so you can simply replace the panels to create a new look. We can also supply low cost printed graphics for you. 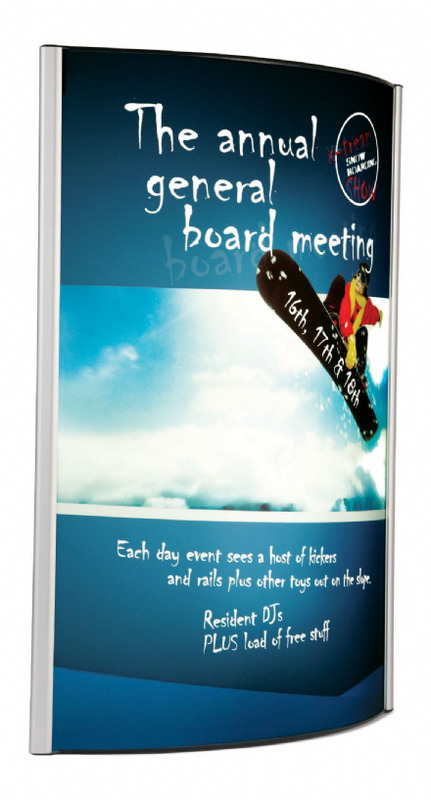 Ideal for promotional displays, use within showrooms, exhibit stands, retail venues and office spaces when you want a contemporary looking display. Cool to touch fluorescent tubes ensure the light box is easy to handle and wall mount. A convenient snap frame mechanism enables a quick graphic changeover.